I hit a stock draw with my woods and irons. When I’m on the tee, I go to the left side, aim left and it draws back on the fairway. Same with approach shots. i can hit a fade if I need to but I prefer my stock draw. I was trying to highlight the fact that Gary Player likes to pump his own tyres and that the GOAT debate, his name never gets mentioned. FWIW as far as the influence of golf and a generation Tiger is the GOAT. Someone once said Tiger doesn’t move the needle, he is the needle. Gary Player had 165 international wins. Travelled approximately 15 million miles. He’s never mentioned as GOAT. What we witnessed yesterday was pure sport, drama and GRIT by the bucket load. I have to admit that I too wrote Tiger off but what he did yesterday was nothing short of outwitting his opponents with the exception of Koepka. Tiger was patient and calculating. When Finau and Molinari dumped it in the water on 12 he made par then watched all the other 9 players around him finished he was in the box seat. To close with a bogey and win by one just goes to show you that he got the job done. Chin up golfers, Tiger proved you can bogey the last hole and win. No Molinari is gun barrel straight and can putt the dots off the ball. His shot on 12 is a good example. He’s my pick to take it out. Sadly Rory can’t seem to deal with Augusta at the moment. The cream rises to the top on moving day. Don’t write off the big cat though. Zac Murray a local golfer in Albury/Wodonga ( border towns) played off +5 at my home course. He’s a pro golfer who won the 100th New Zealand open. He holds our course record at 62 off The the stick. Our course is 6400 yards off the back tees. My home course 217 yards all uphill. Plays about 236. Augusta National Fly over you tube. pretty awesome. Balls and a wet towel. Total Career Earnings in This Photo? Just a smidge under the interest of current US debt clock. The big issue is that the classic old courses have become shortened due to the ball going further. Royal Melbourne fourth hole ( West Course) was designed to make the golfer think about the risk reward aspect off the tee. Now guys like Adam Scott and Rory Mac blast it over these bunkers.Carry of about 240yards. In the last 15 years how many courses have had to lengthen their holes. Augusta National is a great example. There is also the a way to stem this as well. We can biofurcate the rules. One for pros and one for amateurs. 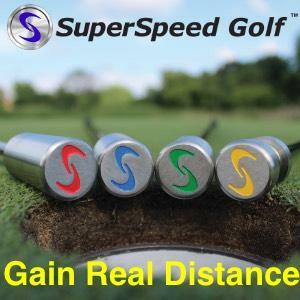 Hence they have pro balls ( limit distance) and one for the average amateur golfer. Lets hope the governing bodies don’t stuff this up like they did with the anchoring ban. Is there one in his @$$?